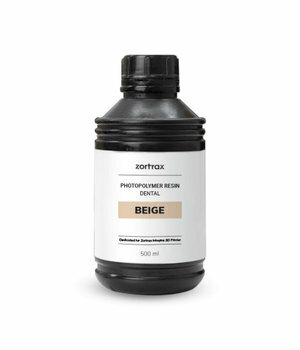 Zortrax Resin DENTAL is a precise dental resin with a gypsum-like texture. 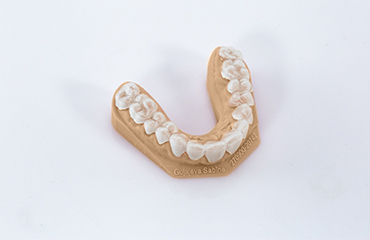 It offers very low shrinkage and high level of detail sufficient for accurate modeling of teeth and gums. 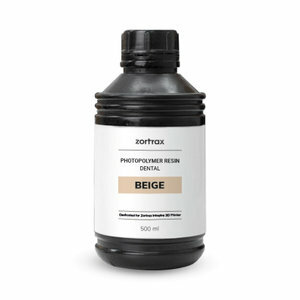 The resin is available in beige color imitating the natural complexion of the human gums. Zortrax Resin DENTAL is not meant for intraoral use. This resin is perfect for high-quality surfaces with surface inaccuracies falling below 100-150 microns. 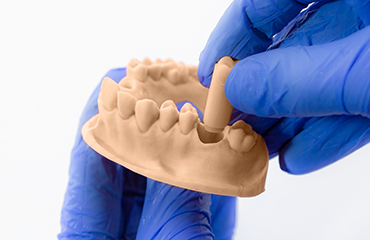 Zortrax Resin DENTAL has not been classified as carcinogenic under EU legislation and IARC criteria, so it is safe to print with when used in accordance with our safety instructions. A dental setup model. 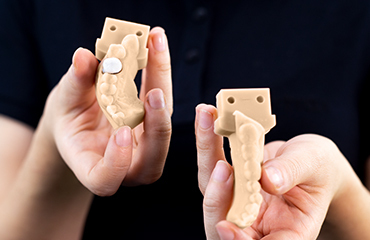 Dental setup models 3D printed on Zortrax Inkspire with Zortrax Resin DENTAL are used to properly adjust crowns, bridges, or other dental appliances prior to their placement in the patient's oral cavity. Zortrax Resin DENTAL is very precise with surface inaccuracies falling below 100-150 microns which makes it perfect for modeling intricate details in digital dentistry. Gypsum is commonly used in traditional dental modeling. 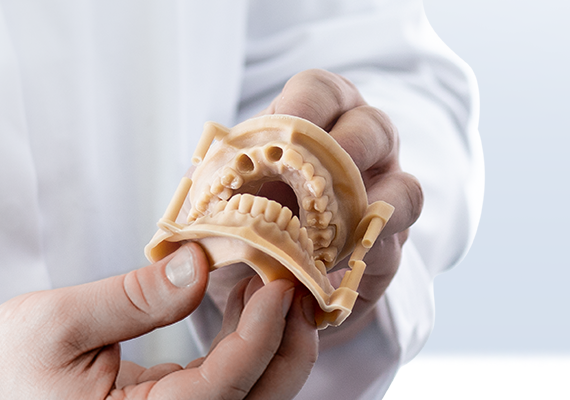 Models 3D printed with Zortrax Resin DENTAL have the same gypsum-like texture most dentists are used to. Zortrax Resin DENTAL has a low shrinkage in the range of 2% +/- 1%. That's why it's great for dimensionally accurate dental models.